Regular readers of my blog will know that I'm not a lover of coriander (the leaf, not the seeds). And on holiday in San Francisco in 2011, we quickly discovered that The Hubs dislikes it even more intensely than I do. When I opened a large envelope to discover a copy of Vietnamese Home Cooking by Charles Phan inside, I couldn't stop laughing. 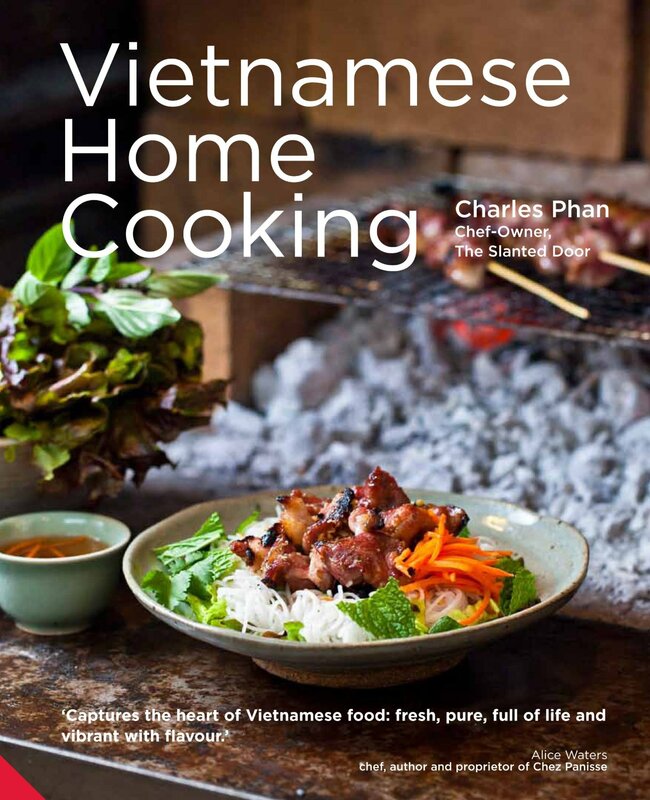 Charles Phan is the chef-owner of The Slanted Door restaurant in San Francisco. He also owns Out The Door in the Ferry Marketplace, where we bought that infamous coriander-strewn dinner! Coriander aside, I adore Vietnamese food. And to quote Alice Waters, it's "fresh, pure, full of life and vibrant with flavour". 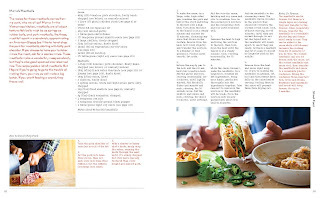 Vietnamese Home Cooking is a collection of recipes which are approachable and attainable once you master the basic techniques and have the fundamental ingredients to hand. 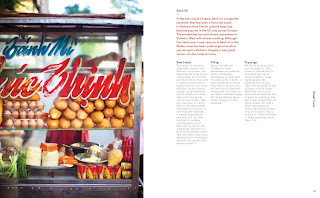 The book is filled with vibrant photos of Vietnam,cooking techniques and recipes which will reassure even the most hesitant cook. 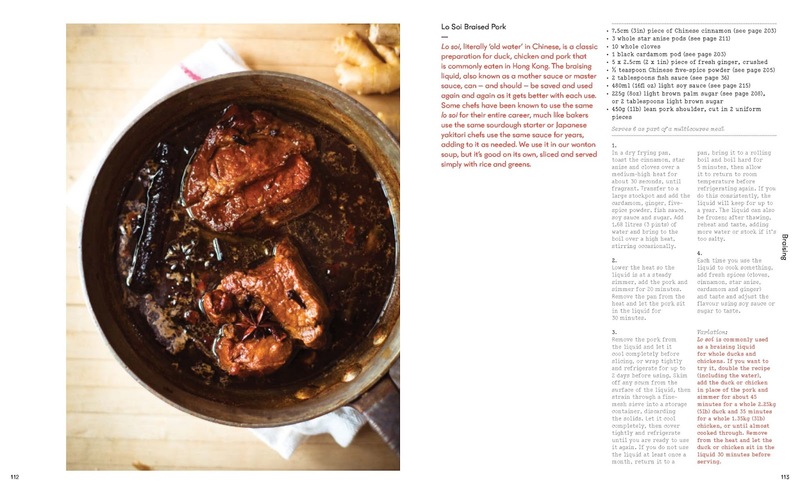 I want to make Lo Soi Braised Pork and keep a container of the braising liquid in my fridge as a mother sauce to use again and again. 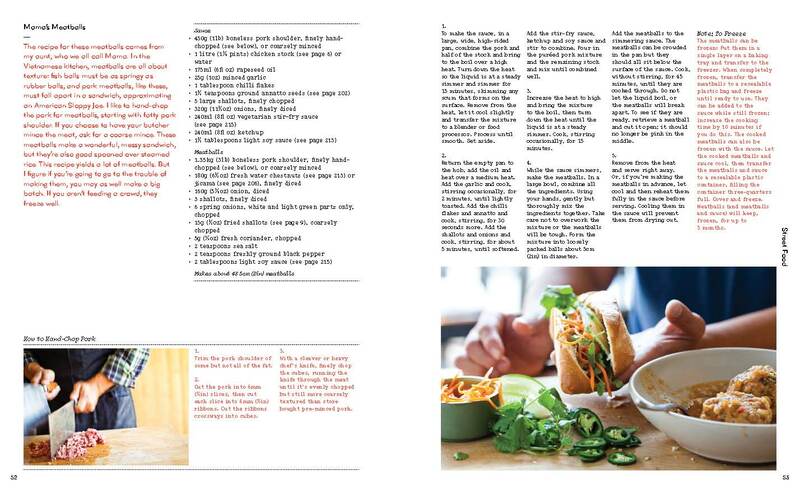 I also want to master Mama's Meatballs and create my own coriander free Banh Mi for a delicious Saturday lunch. 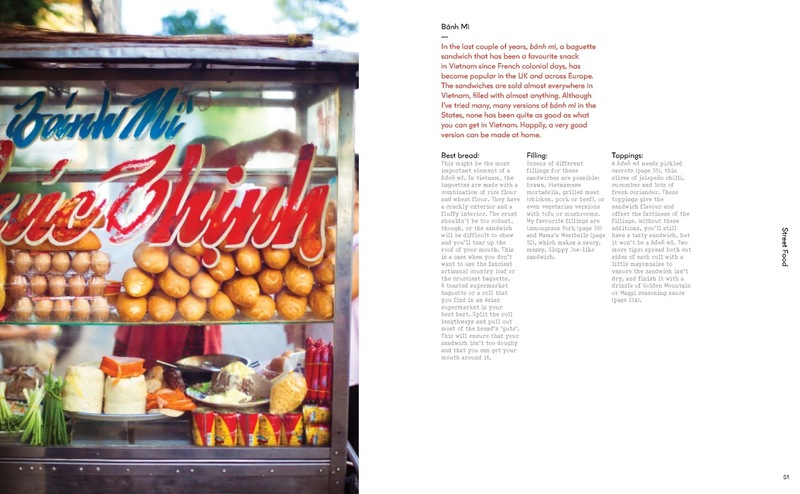 In fact, I want to make everything in this book. Looks gorgeous. Would you think the ingredients would be easy enough to get? Have been looking at a few Asian books but I hate when lots of ingredients used need to be bought online. If you have an Asian supermarket nearby, you'll get everything you need. Most regular stores carry fish sauce, soy sauce etc so you can give it a good try without going to too much trouble. I did a Thai cookery masterclass during the week and the chef just uses birdseye chillies. You can adjust the heat by removing or leaving the seeds and membrane. Is this any help? That's very helpful thanks a million. Lots of cooking schools provide cooking classes. Like Cookie basics and Advanced cookies, Make your own pizza and etc .I love cooking food with few, fresh ingredients and this book sound perfect for me. And I love your new header photo.